Andrey will address how you can translate your experience and abilities gained as small business person or a government executive to various roles in the nonprofit sector. 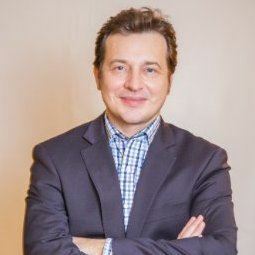 Andrey Gidaspov is the Director of Development with the American Geosciences Institute. He is a creative and entrepreneurial thinker with extensive expertise in international business, non-profit fundraising, government consulting and business development. Connector of people and ideas; rainmaker who brings new projects to life. Engaging public speaker and published author. Brings over 25 years in international business development and fundraising experience.